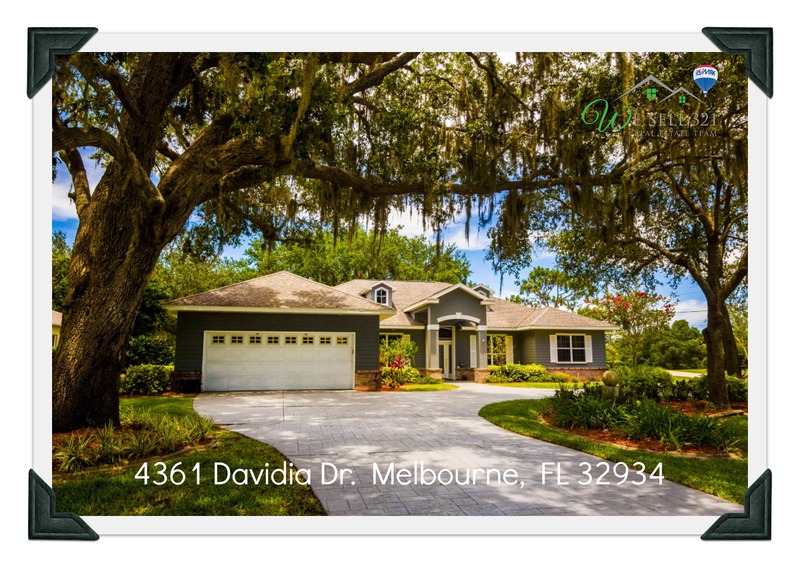 Beautiful home located on .52 acre in Popular Windover Farms of Melbourne. Situated on a large corner lot, this home greets you with wonderful circular drive and large soaring trees. Home features open kitchen design flowing into breakfast nook and great room. Kitchen offers Tall Cabinets with molding and under cabinet lighting, great island with stove, and Pantry for plenty of storage. French doors from living area open to large lanai. Awesome split floor plan currently set up as 3 bedrooms, office with closet (4th) Plus office/den off master. Formal Dining area with trey ceilings and lighting for entertaining. Enjoy out door living with great under truss patio space, pebble stone pool, and beautiful corner lot yard.